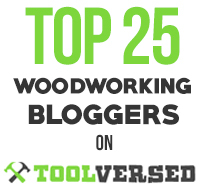 Over the coming weeks and months I would like to write some posts about my favorite woods from a personal, hands-on perspective. 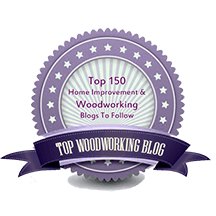 The internet woodworking world has an abundance of discussion about tools, ironically to the relative neglect of the magnificent gifts of nature on which we use them. First up is big-leaf maple, Acer macrophyllum. The natural range of this species is the North American west coast from California to British Columbia. Synonyms include Oregon maple, Californian maple, and Pacific maple. To distinguish, “hard maple” is usually Acer saccharum (sugar maple) and “soft maple” is usually A. rubrum (red maple) or A. saccharinum (silver maple). 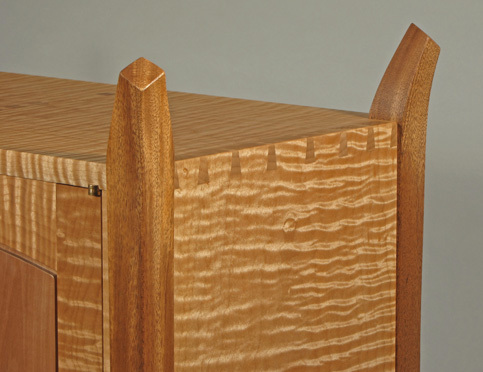 For this East coast woodworker, the magic of the internet is the source for big-leaf maple. The first place I turn to is Northwest Timber, run by Lewis Judy, the source for the wood pictured in this post. Their wood is properly processed and cared for, and I can confidently expect that what I see is what I will get. Why source big-leaf from 3000 miles away when I can easily find hard and soft maple locally? Well, for starters, I like its looks – and it has lots of different looks. Curly big-leaf is my favorite. I prefer it with an inviting soft, ropy curl, with wavy annual ring lines, as distinct from the tight, regimented fiddleback curl seen in the “best” hard maple boards, which seem somewhat aloof to me. I also like the warm golden-tan color of big-leaf which is enhanced with a wiping varnish finish – I usually prefer gel varnish. It also never seems to have the gray tinge that often plagues soft maples. Oh, but there are so many more faces to big leaf! Unfigured, it still looks good, often with just a little wiggle to the annual ring lines to give it subtle character. Quilted figure can be mild to knockout, and some may like the extreme bubbly-looking “popcorn” figure. 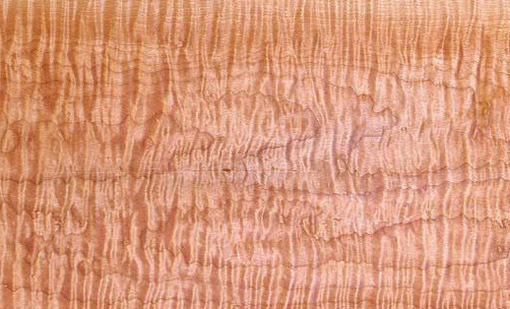 Big-leaf heartwood, “redheart,” can have a beautiful variety of subtle colorations. Like other maples, it produces a variety of interesting spalted appearances. Forest Products Laboratory data show the density and hardness of big-leaf are similar to those of soft maple and significantly less than hard maple. Its volumetric shrinkage and tangential/radial ratio are more favorable than those of soft and hard maples. 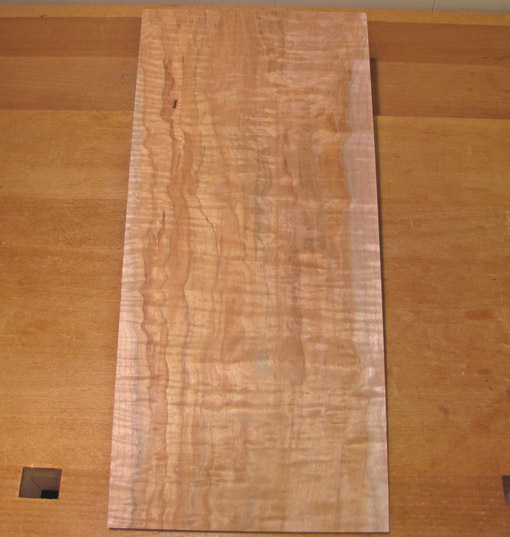 This is definitely appreciable and significant in the shop in comparison to hard maple. All in all, big-leaf maple is a friendly wood to work. And a lot of fun to choose! whole site. Keep it up. I thank you for it. What an excellent idea for a blog series. This particular maple is new to me. I wondered, when I saw this piece of furniture of yours at the show in Northampton, about the maple, but forgot to ask. It’s dazzling. I’m in total agreement on this Rob. I have build several smaller pieces using the same hunk of Big Leaf that I got on ebay several years ago. In fact the background to my site’s header is a piece of that same hunk. I still have two smallish panels left that will some day make it into doors of something fabulous. Thanks for the comments. It really is a wonderful wood with so many different looks. I have been quietly following your posts for some time. I am looking forward to more on the woods. The pictures here are great. I will have to use this wood soon. Thank you for the inspiration. Thanks for reading, Bill, and good luck with whatever you build with big-leaf maple.